To celebrate the end of the spring semester, a group called the “River Rats” will be leading a trip to float the river in San Marcus. The group totals only about 15 people, but they welcome anybody that has a tie to the University of Texas, including a friend that goes there. They aren’t an official UT group yet, but they plan on organizing with the new school year. The only demands to be associated with the group is that you have to be a UT student, or “plan” to be a UT student. “It’s a loose loop hole I know, but we’ve got to have it,” Menard said. So if you’re looking for a fun group that’s open to new people, make a trip with these experienced floaters. Austin is known for music, and the Sixth Street scene just got a little more diverse, and there’s a celebration because of it. The Stage, a new “Texas Country” bar on the eastern part of west sixth, is going to celebrate the new summer with “summer heat.” This celebration is an attempt to get the biggest names in Austin and Texas country music to assimilate and make the new venue a staple in genera. Austin at one time was known for it country music, but after Willie left it became a little stagnant. Summer Heat has a different strategy; invite people that want to have fun, and let them. They’ve got a place for you dog out back, a patio, and most importantly, air conditioning. During the Pecan Street Festival this past weekend, the temperature hit 94 at street level, but the Stage held at a cool 70. One of the bigger one-stage venues, Summer Heat stated at the festival and will continue on through till June. The reason you should bring your friends is that it’s the best proximity to parking, has the most bar tenders per customer, and is still on sixth so a change of venue is not a problem. 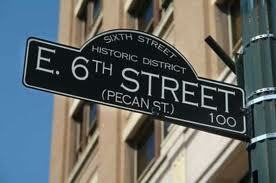 Make this your meet up spot when going downtown this summer, because the kitchen is quick and filling. For everyone 21 and up, Qua offers another downtown location that reminds its guest of a bar on Miami’s South Beach. Qua, located near 4th and Colorado, is a wine bar and lounge, complete with VIP areas, two DJ’s, an unique dance floor, a full bar, and two waterfalls. What makes the dance floor unique? Just the fact that it’s a fish tank! What better way to celebrate the beautiful May weather, than enjoying a concert out under the stars? Maybe add a little BBQ to the mix, and you’ve got it made when the Fleet Foxes play at Stubb’s May 10. 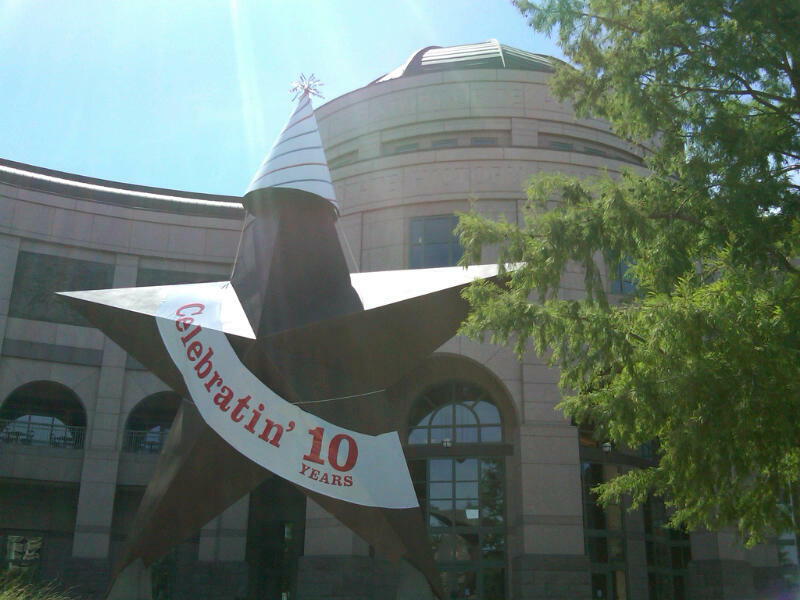 When I think of Austin, the Bob Bullock Texas State History Museum always comes to mind. While it’s definitely not the location for a wild night out, I think the museum warrants a visit from tourists and Austinites alike. 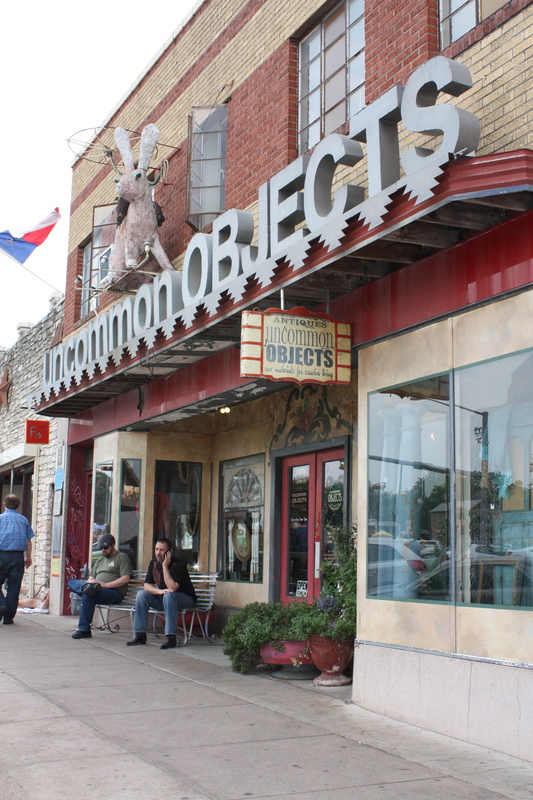 South Congress is an excellent spot to buy souvenirs and gifts, especially if you’re looking to avoid the generic, overpriced options available at the airport. Plenty of local boutiques, vintage furniture and clothing shops, craft stores, and toy shops are interspersed between restaurants and situated across from the food trailers that line the east side of the street. There’s Tesoros Trading Company, which sells folk arts and crafts from over 20 countries, Off the Wall, self-described as selling “Furniture, Art, Gifts, Antiques, [and] Odd Stuff,” Uncommon Objects, which sells mostly antiques and “raw materials for creative living,” and many others. My favorite shop on my most recent visit was Monkey See, Monkey Do. The toy shop combines a random assortment of stuff like themed card decks and prank toys, the usual collection of “Keep Austin Weird” hats and shirts, and an infusion of Austin spirit with reusable water bottles and bags with slogans and witty sayings.